For his Paris Haute Couture Show, Giambattista Valli produced a refreshing collection that would be absolutely gorgeous for any African bride-to-be, their bridesmaid or even their guests. Yes, I admit that white is the cardinal color for the bride, but nothing stops a bridesmaid or a guest from wearing gowns that are also white or better yet designed with pure femininity or bold hues (isn’t it a celebration for all). Just check out the collection from Valli. Inspired by the world’s finest porcelain, the designer sent out pieces that were bold and refreshing, truly feminine, delicate, and youthful. 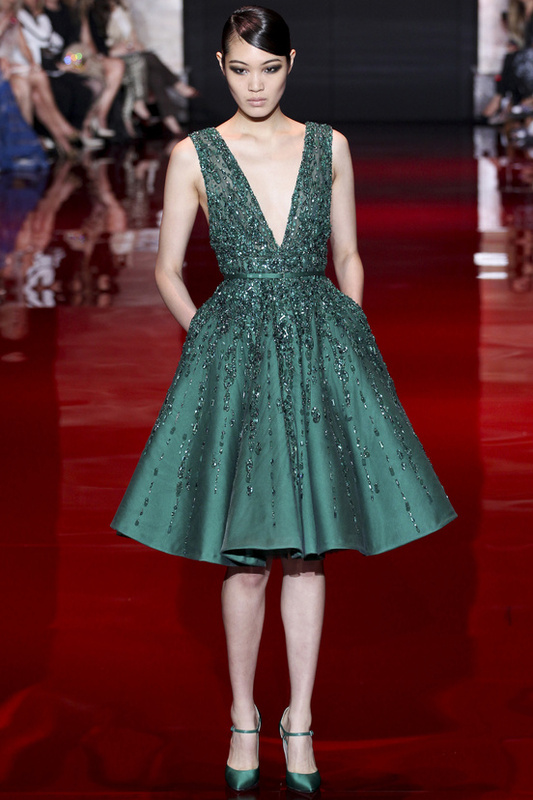 Some of his dresses emphasized tiny waists flaring out in short wave-like pleats. 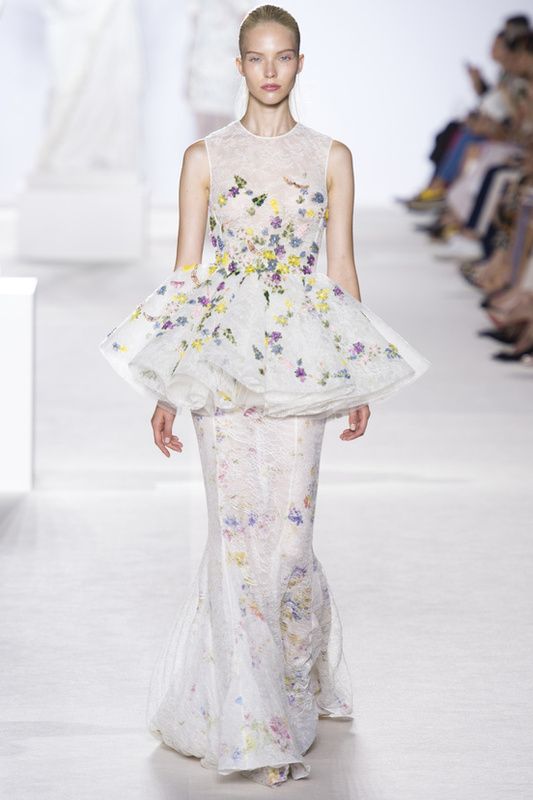 He used lavish embroideries, floral appliques and sheer panels in some that added a bit of delicacy to his masterly crafted work. 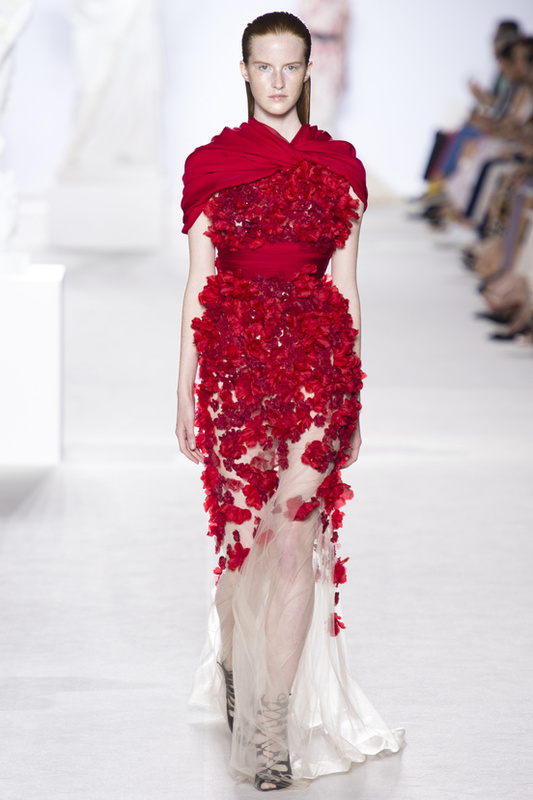 Brief Bio; Giambattista Valli is an Italian fashion designer who held his first solo show in Paris in March 2005. 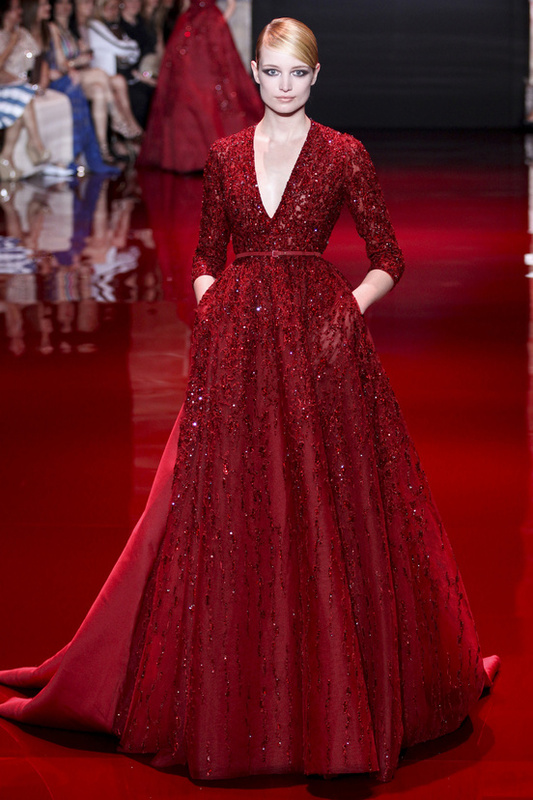 His first haute couture collection was launched in July 2011 and he has become a major name on the schedule since then. 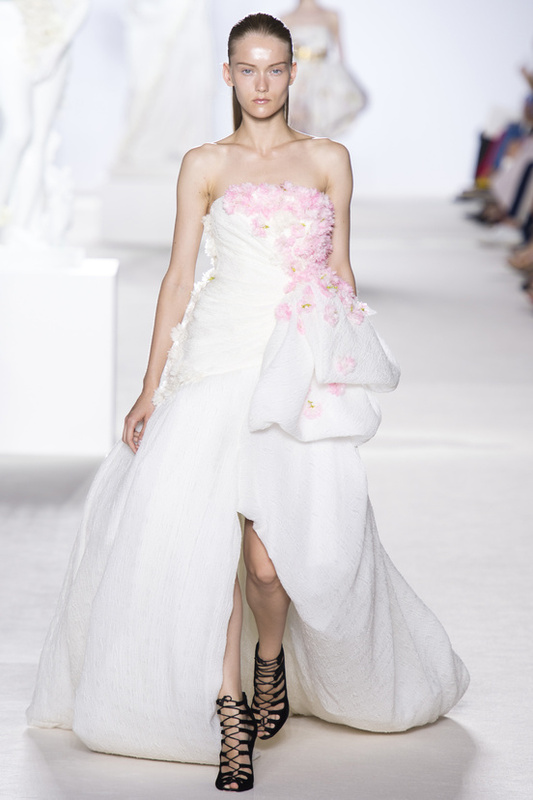 Should any African-bride-to-be wish to resemble a fairy tale princess for her wedding or should their bridesmaids or guests wish to look absolutely beautiful also, then check out some of the pieces from Giambattista Valli for inspiration. 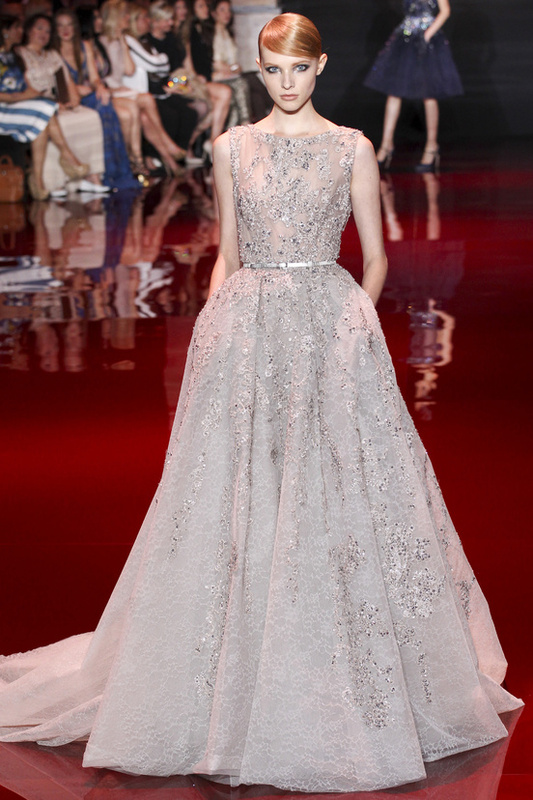 The Paris Haute Couture Fashion Week Fall/Winter 2013-2014 just ended, and though I was not one of the many privileged guests who attended, some of the amazing designs from Elie Saab would look absolutely divine for any African bride to be. 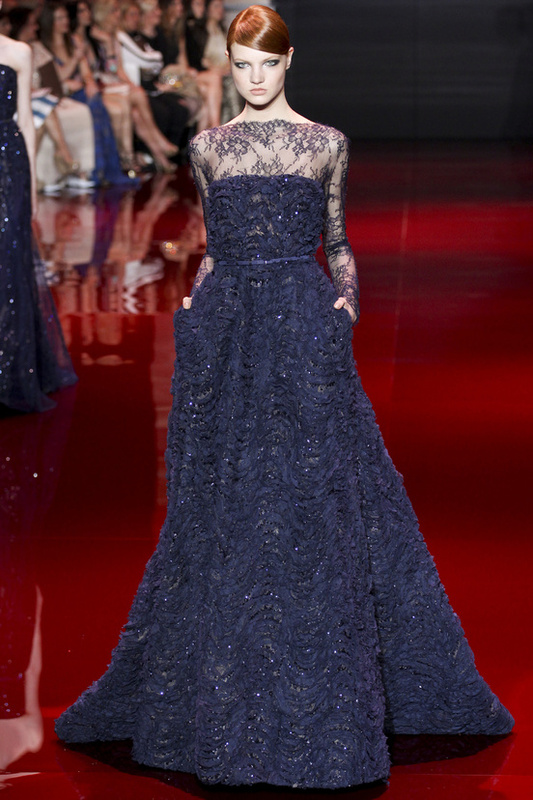 Brief Bio; Elie Saab is simply put, one of my favorite designers. I am not sure if it’s the sequins or the fit, but there is something about his clothes, that lord knows, simply take my breath away. 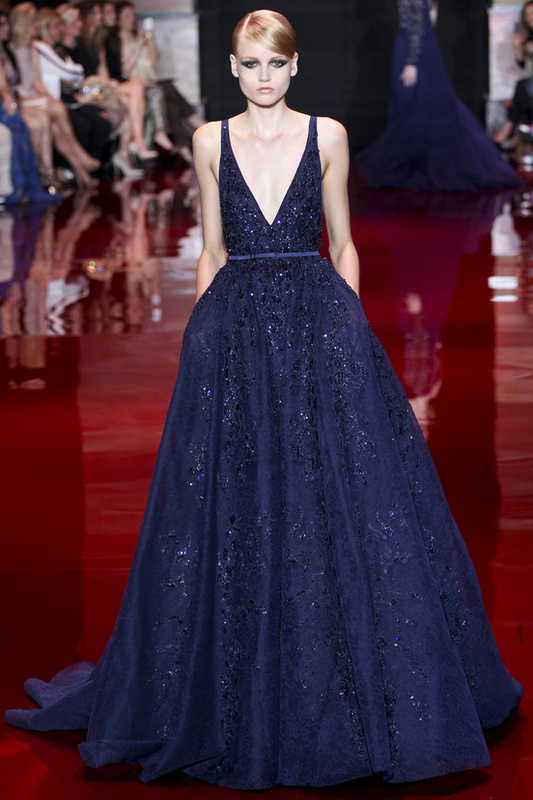 So who is Elie Saab? He is a Lebanese fashion designer who launched his fashion label at the tender age of 18. He blends western and eastern culture in his style, which is probably why I resonate well with it. 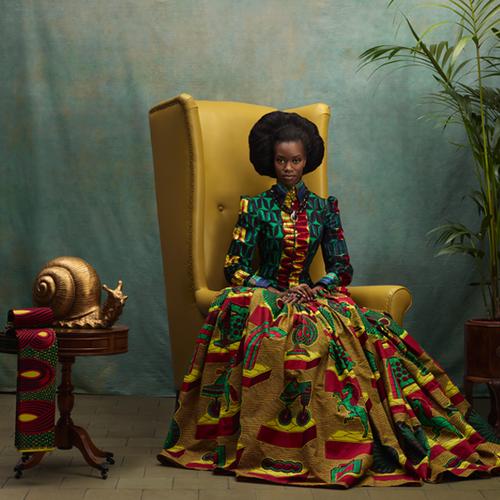 He has established a name for dressing royalties and celebrities and so, it will be nothing usual for an African-bride to be to wear one of his many designs. 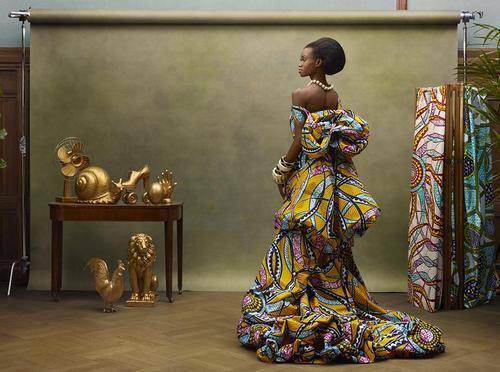 His recent Paris Haute Couture show is inspired by the colors of precious stones and the dresses, worthy for royalties, are a perfect fit for any African bride to be. Take a look for yourself. 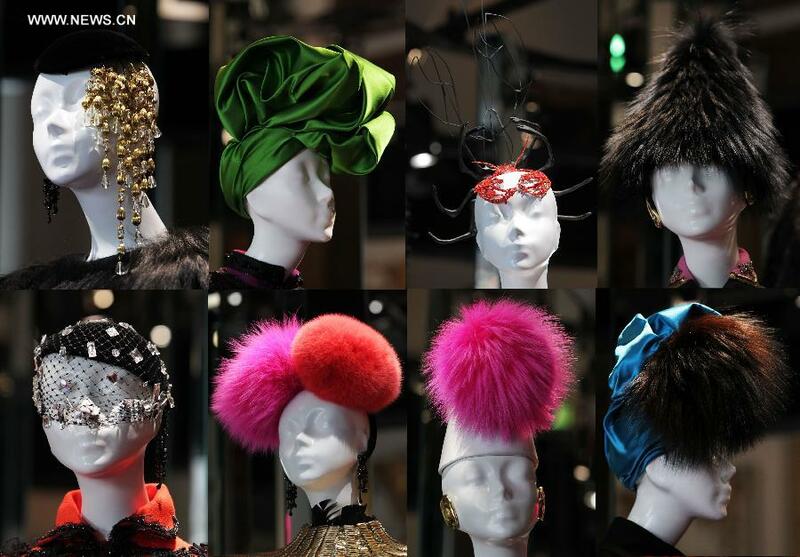 In true fashion glory, ‘The Turban’ has made it’s way into mainstream fashion, with numerous western fashion designers from Jean Paul Gaultier to Christian Lacroix embracing this iconic fashion accessory in their collections. 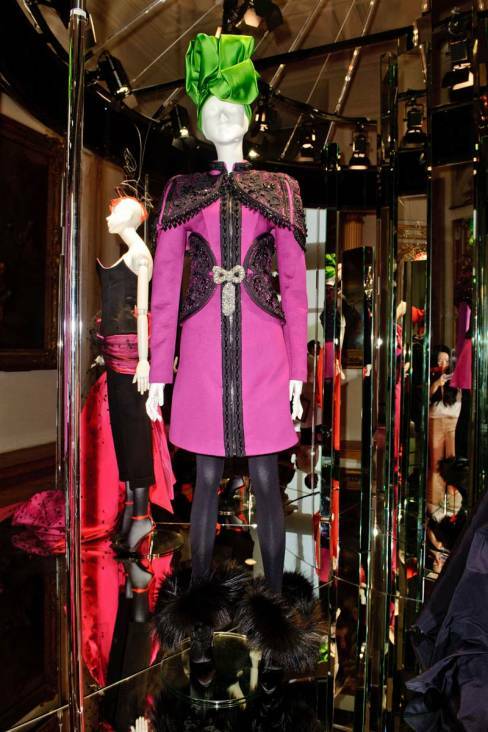 For example, check out these alluring images from the June 30th, 2013 Christian Lacroix Paris Haute Couture Fall 2013/2014 collection for the house of Schiaparelli. 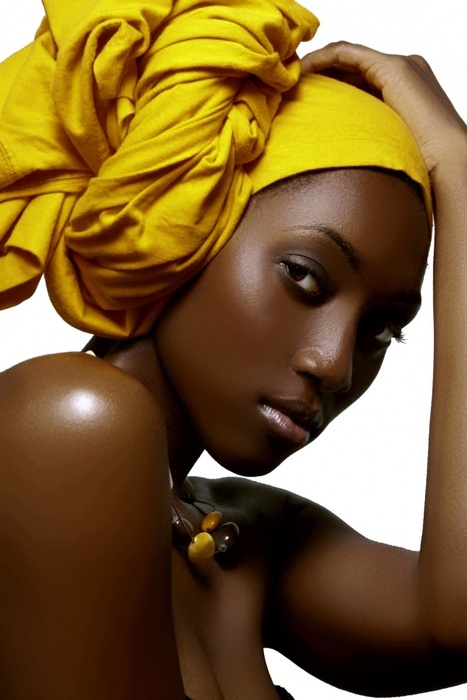 Turbans are suitable for any look ranging from casual to chic and there are many new and fascinating designs alongside vintage versions that are simply divine. It exudes sophisticated elegance, presence and it is the perfect fashion accessory that completes any look. 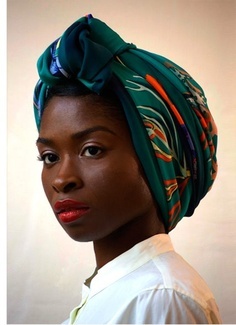 Well for the next six month, Isioma’s Style Report will revisit the most iconic fashion accessory that exudes pure elegance ‘The Turban.’ From a look back at the vintage versions, to the modern, trendy, every day, African inspired versions; come with us as we retrace the history of turbans, it’s relationship to our own Nigerian ‘gele’ or ‘Ichafo,’ (if any), and why it remains the most memorable, beautiful and bold piece of accessory of all times. 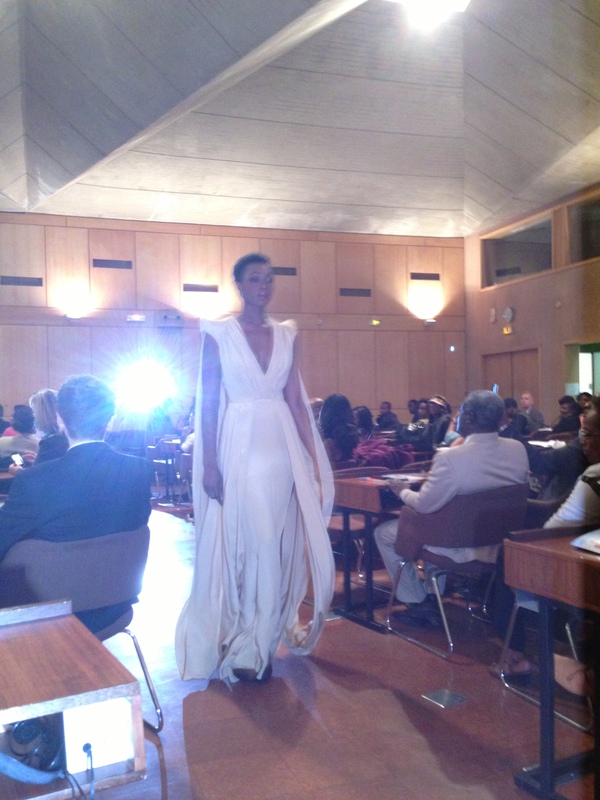 At The Festival International De La Mode Africaine, Paris, France. 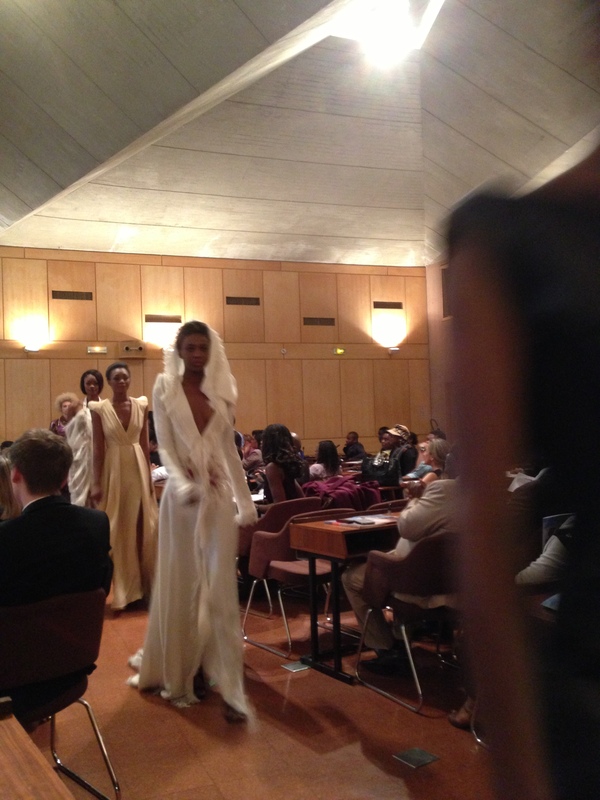 I had the tremendous opportunity (thanks to my wonderful friends) to attend a wonderful press conference today on the 9th edition of the Festivale Internationale De La Mode Africaine (FIMA), held at Maision de l’UNESCO, Place de Fontenoy, Paris, France. It was my first press conference, an utterly amazing experience and I look forward to showcasing more of these types of events that promote the beauty of our African Style and Culture. Without further ado, here are some simply divine shots from the press conference (Please check back for updates and thank so much for all your support, likes, and comments, it truly means a lot to me and I am so grateful to each and everyone of you). 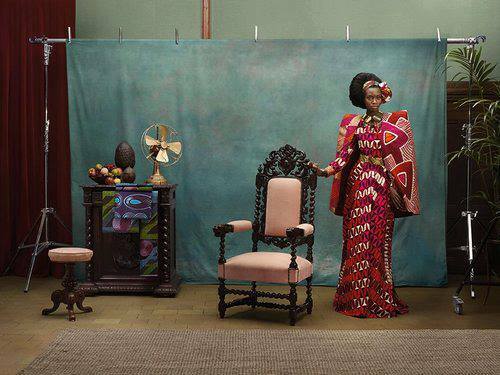 Posted on June 27, 2013 June 27, 2013 Categories Culture, StyleTags #African Fashion, #African Style, #FIMA2 Comments on At The Festival International De La Mode Africaine, Paris, France.